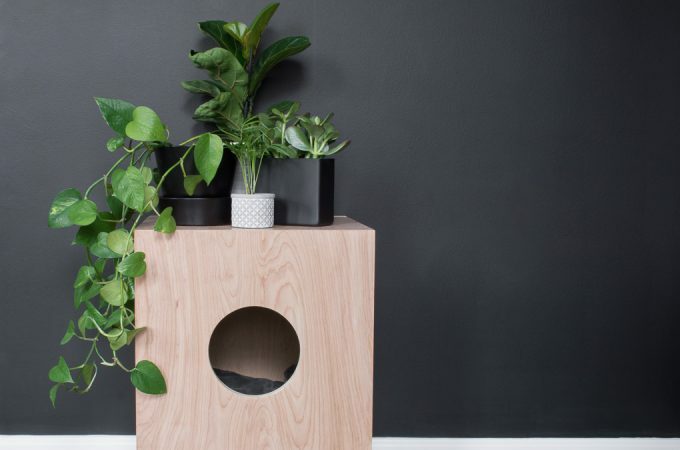 This post originally appeared on Simply Designing. Thanks for hosting me, Ashley! 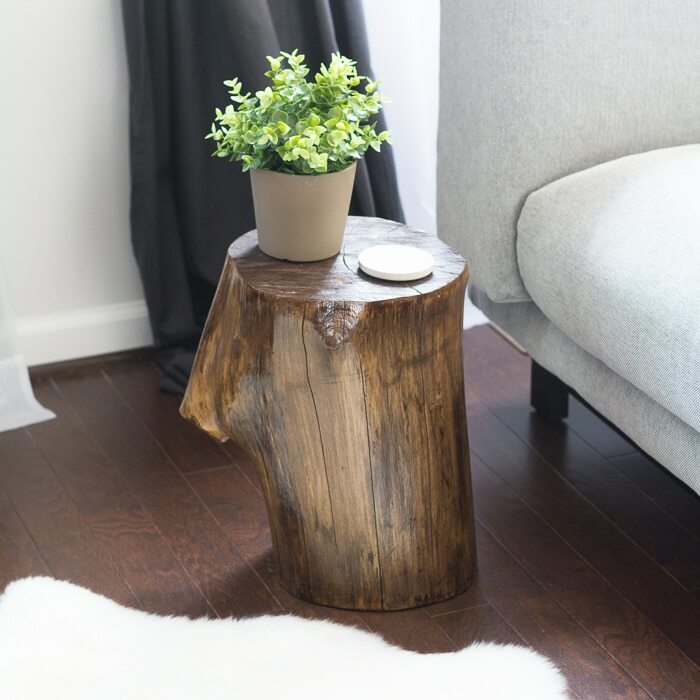 Today I’m sharing an easy project that anyone who can lift a tree stump can make! 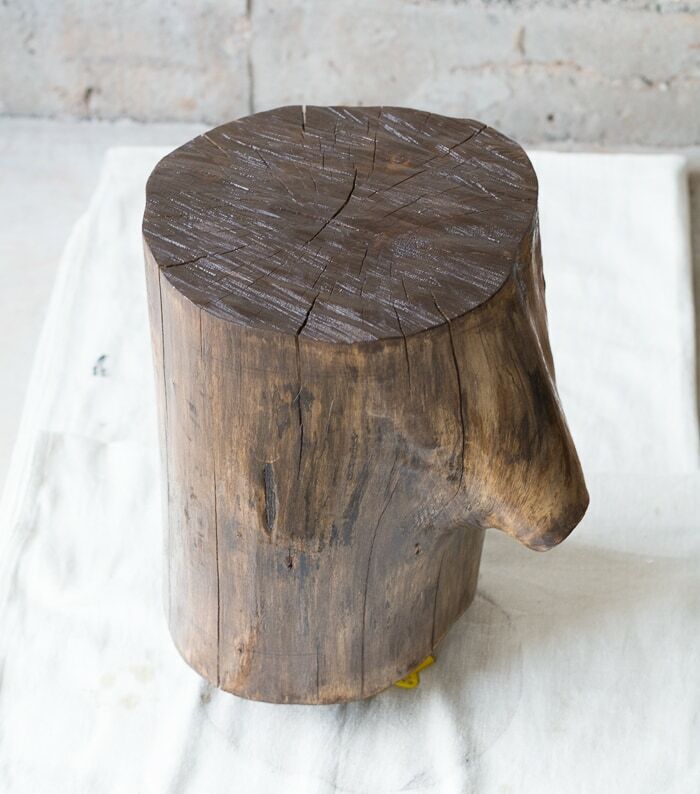 I had had this tree stump side table project on my project list for a long time…almost a year, in fact! Because although it is an easy project, it takes a long time to complete. 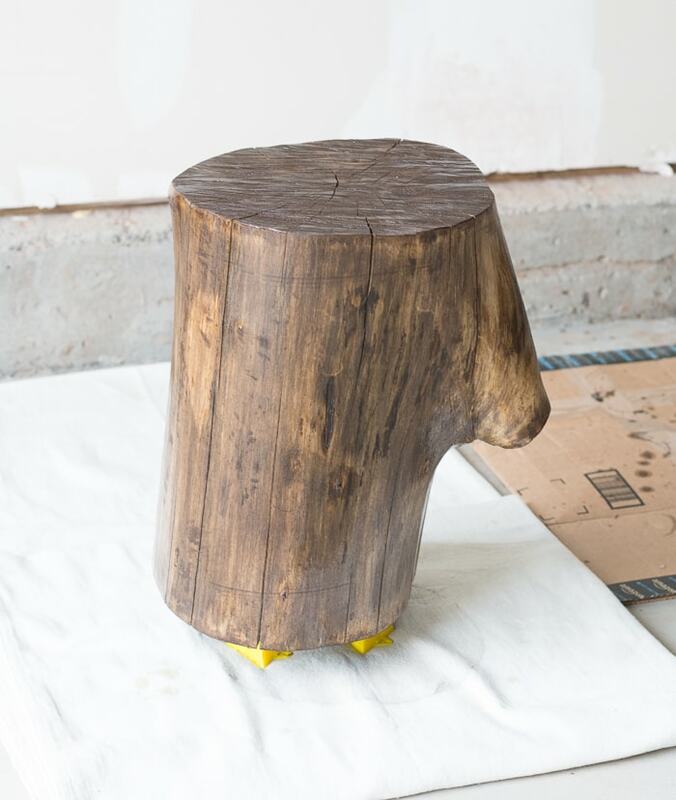 That’s because you have to ensure your stump dries completely before you start working on it, and it can take anywhere from weeks to months for your stump to dry! 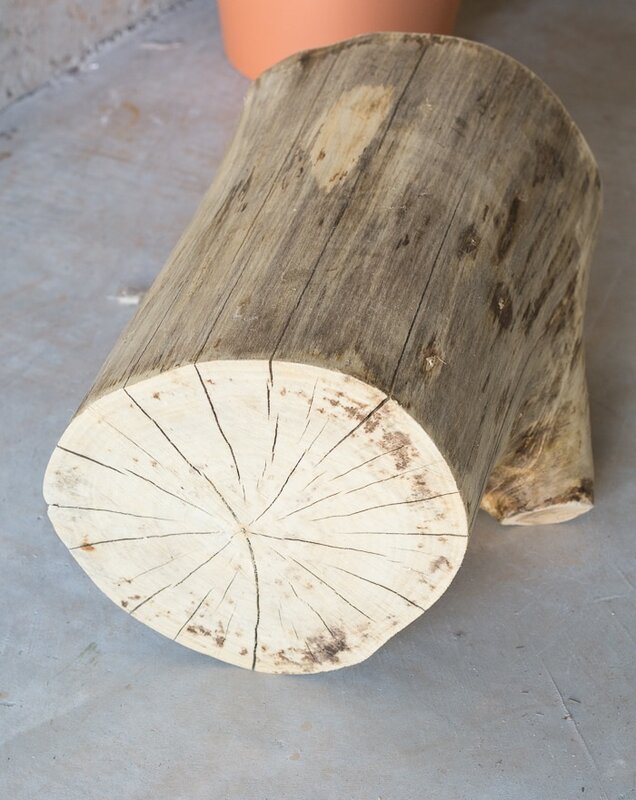 The dry time depends on lots of different factors, including when the tree was cut down and what conditions the stump has been drying in. 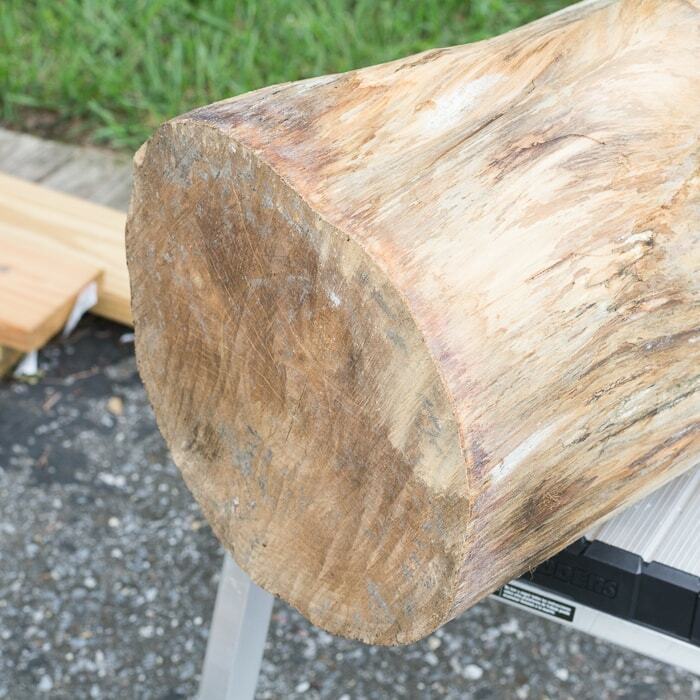 I also had to add some extra time to my project timeline because my dad accidentally turned my first stump into firewood…it had been sitting drying out at their house for so long that he thought I’d forgotten about it! 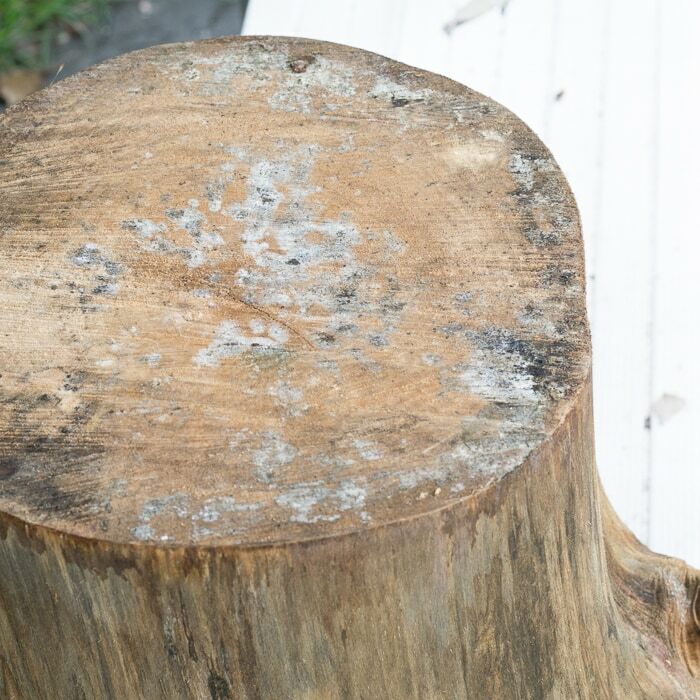 So when my parents recently took down another tree at their house, I immediately jumped into the wood pile to see if I could find a good candidate to start my tree stump side table project over again. What do you think? I love how mine has a bit deeper of a color and a little bit more shine to it than the one I saw online. So let’s chat about what I used and how I did it! 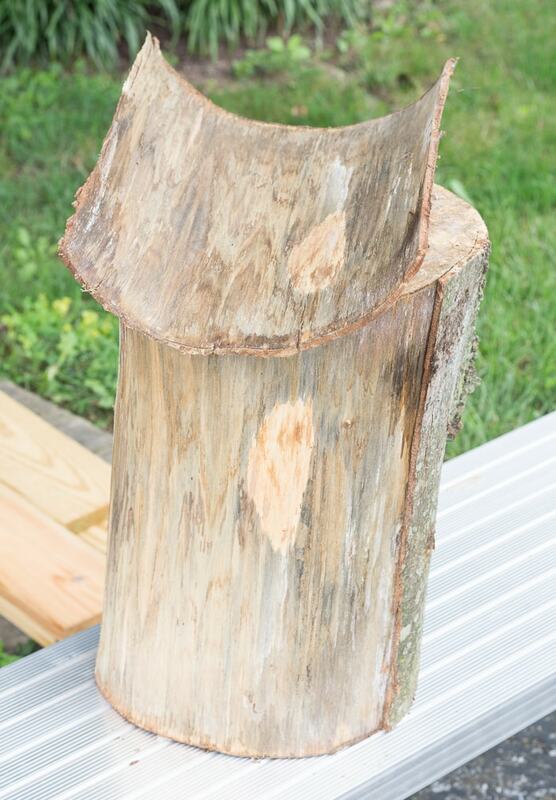 Step 1: First I had to find a stump and peel off the bark. My parents had just taken down a tree in their backyard a few weeks before and kept it for firewood. 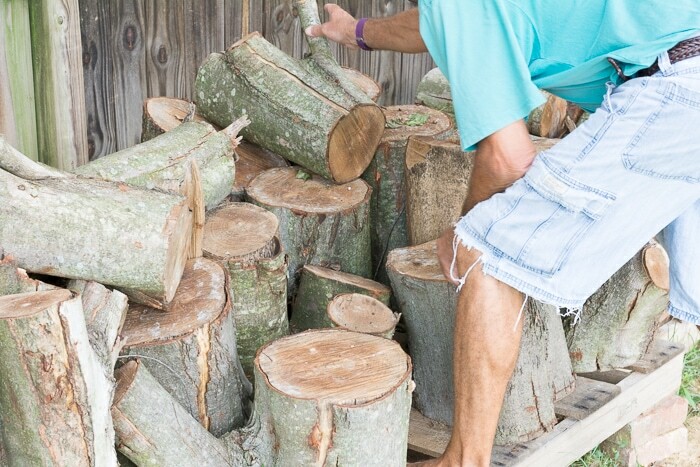 We looked through the pile and picked the most even stump we could find. 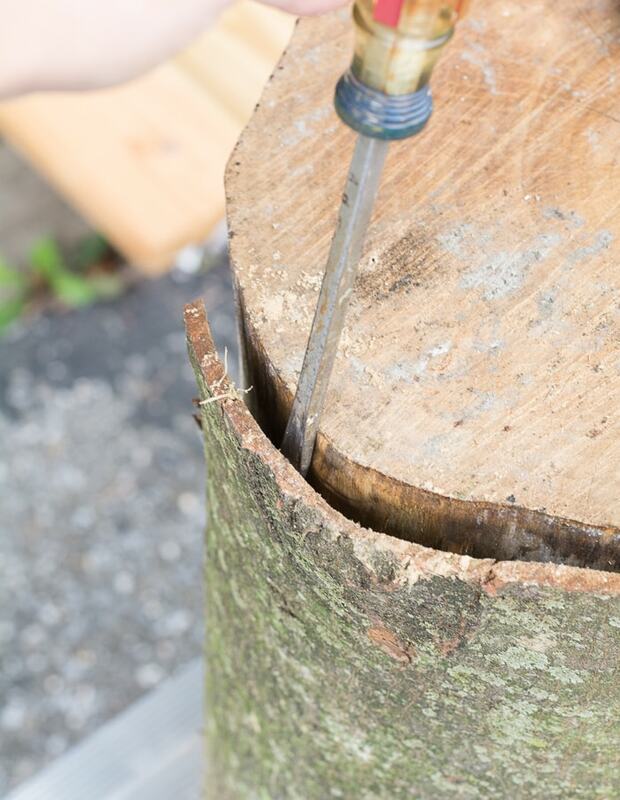 Then I used a flat tip screwdriver to peel off the bark. 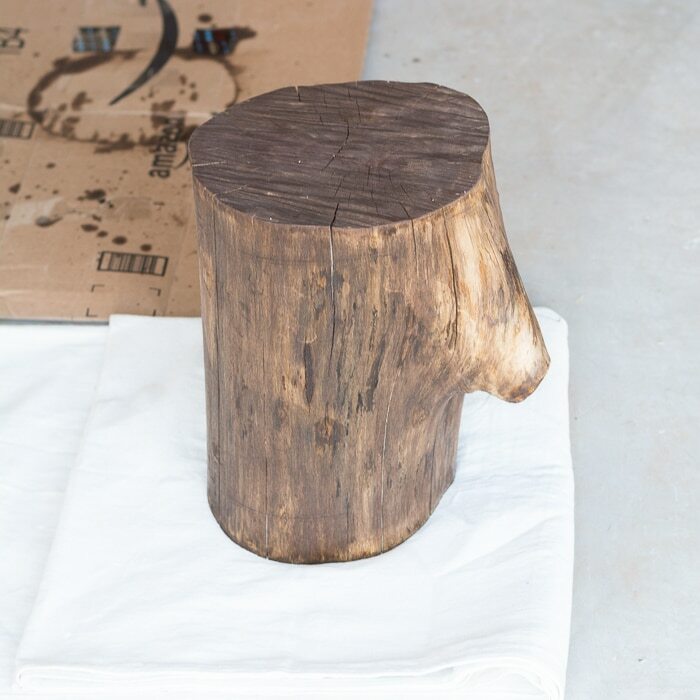 This bark removal process was MUCH easier than what I had to go through when I made my DIY cat tree using real branches. 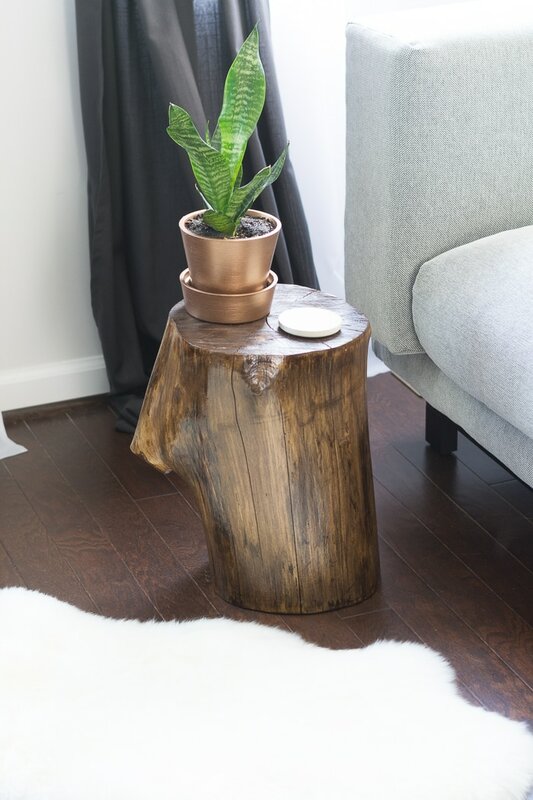 I could not believe how easy this stump was! Step 3: Once it’s clean, it needs to dry! 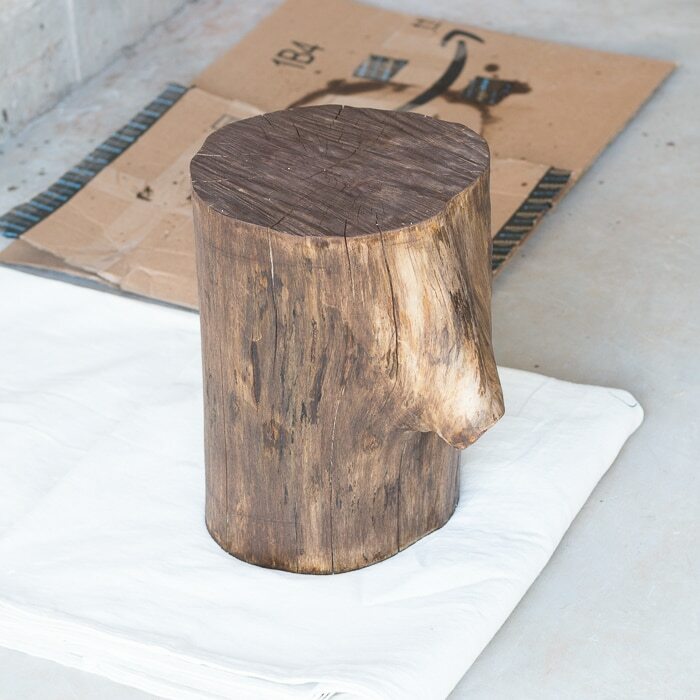 My stump still had quite a bit of drying to do, so we set it in my parents’ basement right next to a dehumidifier to dry out for a few months. We didn’t need to use a dehumidifier, but it just helped to speed up the process. Step 5: Finish it off. 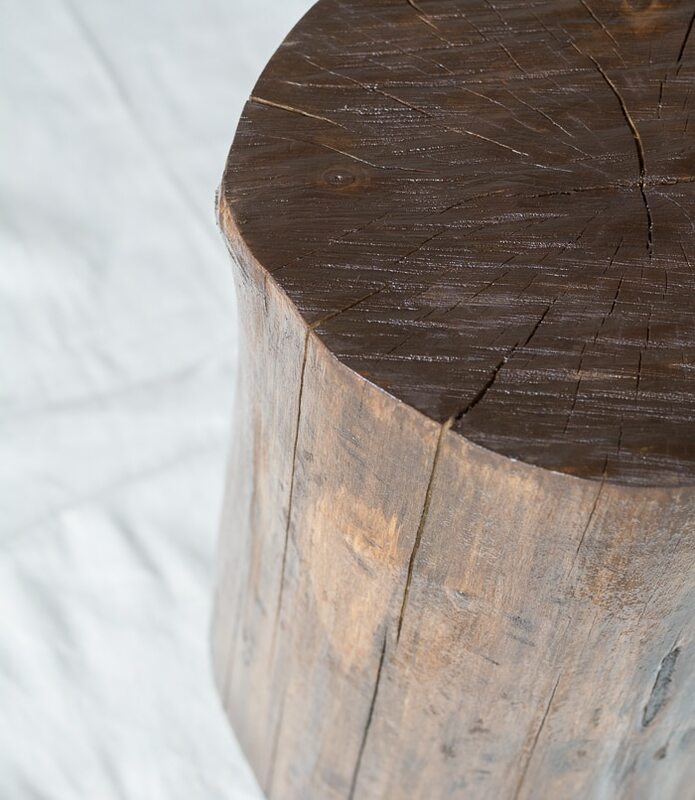 To finish my stump, I gave it two generous coats of Minwax Polyurethane in Semigloss. Sanding lightly between coats. And here it is, done! 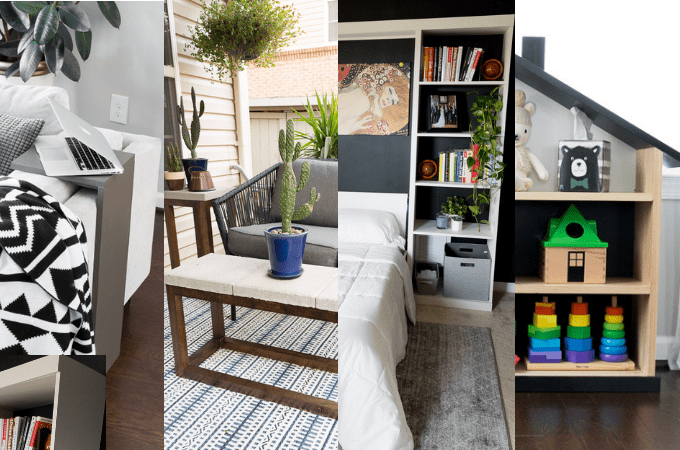 This was an easy DIY…like I said, it just took a lot of patience waiting for it to dry out! There was some heated discussion in our house about which end it should stand on…I love it this way, but my husband and friend both wanted it flipped. What do you think? Thanks Colette! 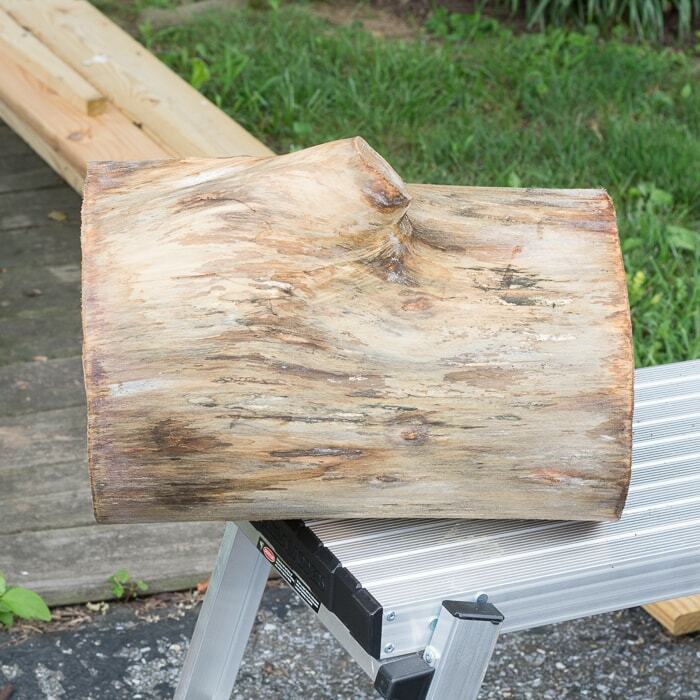 The good news is that once the stump dries out, it’s a fast project. Just set it somewhere and forget about it for a few months! Thanks Shannon! 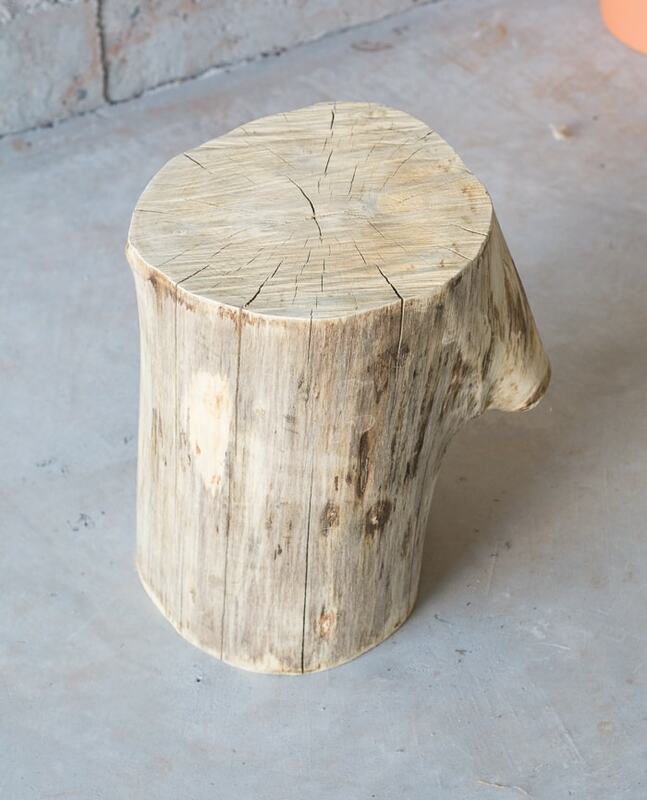 Start your stump drying now and you can have one by April, ha! I NEED TO FIND A TREE STUMP STAT!!! 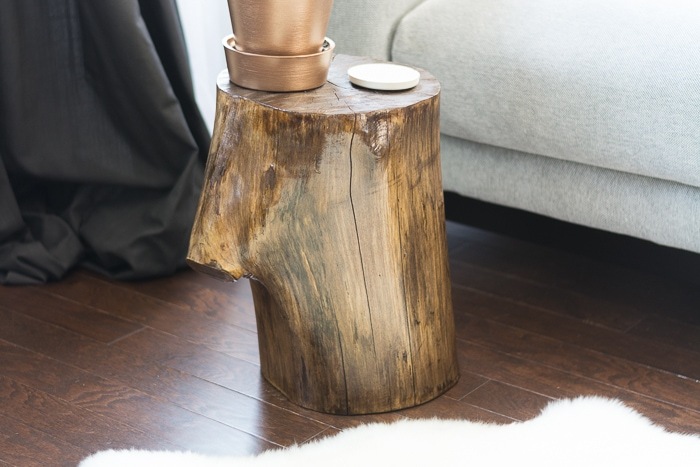 Love your stump side table. Thank you for sharing your tutorial too. I am featuring you tomorrow at the Snickerdoodle party.